A care home in Sutton Coldfield were visited by a host of furry friends to celebrate Love Your Pet Day. 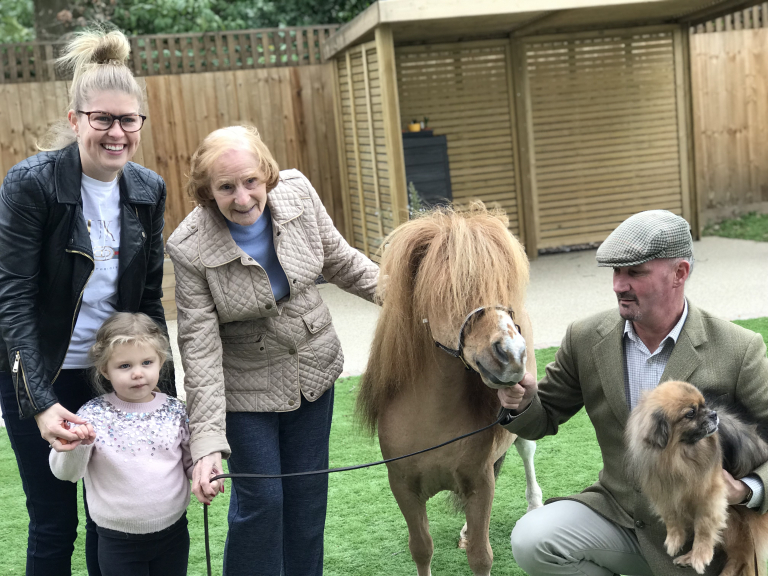 Residents at Mercia Grange on Lichfield Road were visited by volunteers and friends to the home, Elizabeth Scott and Annie Whitehouse, who brought along dogs, cats and even ponies. Mercia Grange is also being treated to visits from friend to the home, Paul and his adorable pooch, Jasper the Cockapoo, every week. Jasper is proving very popular with the residents, who enjoy petting and stroking him, and always look forward to his weekly visits. Home manager at Mercia Grange, Shirley Gibbs, said: “It is fantastic to see the smiles on everyone’s faces when furry friends come to visit. Jasper and Paul bring so much excitement to the home each week as it’s a real treat for residents to be able to fuss over a friendly dog. “The visits provide fun animal therapy for residents, which is important as being close to animals can help lift a person’s mood, stimulate social interaction and ease agitation. You can see from residents’ reactions just how engaged and happy they are to be close to the friendly visitors. For more information, email customer relations manager, Rachel MacKay at rachel.mackay@careuk.com, or call 0121 314 3196.